We can custom your own design, such as special shape, material. Or you can choose from our website or catalog, we can add your own logo on our product. so you can build your own brand. Custom the packaging box, such as gift box, carton box, bag. Shipping by sea need long time: to most country is 15~30daysl. Shipping by sea to Europe and Australia will have minimum cost around 300USD. so small quantity we not suggest to shipping by sea. But if your quantity good, shipping by sea is really cheap. Shipping by railway to Europe around 15days, price cheap than by air. but expensive than shipping by sea. If need custom your own logo on product, or custom your own design that will have mold cost. 1. Customer provided design drawings.The customer provides design drawings, brand LOGO, materials(wooden cutlery, plastic disposable cutlery, edible cutlery…) and colors. Note: Regarding the design drawing, the customer is required to indicate the size of the product, including the thickness of the product, the more detailed the better. Regarding LOGO, it is generally recommended to engrave on the back of the handle so as not to affect the overall aesthetics of the product. For materials, we offer custom stainless steel, logs and disposable cutlery. Customers can choose stainless steel with wooden handles or pure wooden cutlery. As long as it is a reasonable design, we can produce it. Regarding the color, the customer can choose according to their own preferences, or can refer to the color in the color card to select. 2.Factory production sample. Confirm the customer’s design requirements, hand over the design drawings to the factory, and start mold proofing. Generally, it takes 7 days to proof, depending on the arrangement of the factory. The cost of opening the mold proof needs to be confirmed separately. The details can be exchanged by mail. 3. Send samples.The cutlery manufacturers completes the proofing and delivers the sample to the customer for confirmation. If the customer is satisfied with the sample, they can sign a contract and cooperate. If the customer finds that the sample does not meet the design requirements, the factory can make a second modification, and the cost of the modification needs to be borne by the customer. After confirming the sample, sign the contract. 4. 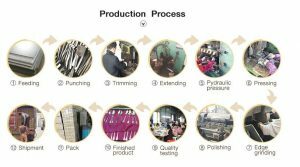 Factory production.After the establishment of cooperation, the factory began mass production. Under normal circumstances, the completion of an order takes 25-40 days. The daily production of the factory is about 3,000. 5. 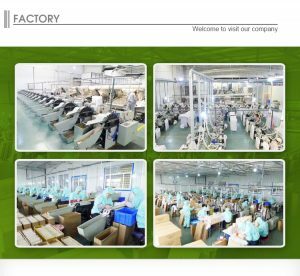 About logistics: After the production of the product is finished, there will be a special quality inspector to check the quality of the product. After no problem, the shipping company will be contacted for shipping. If the amount of customization is large, there is no need to bear the sea freight. 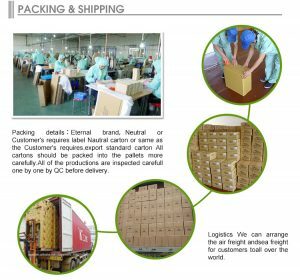 If the order quantity does not meet the shipping conditions, the sea freight will be borne by the customer. 6. About the packaging: the inner packaging is a carton, and the outer packaging is a corrugated cardboard box. Because the knife and fork are easy to collide and scratch, we will pay more attention to the packaging, try to avoid the friction between the knife and fork, but can not be completely avoided. Therefore, scraping of a small number of products is a normal phenomenon. 7. About return: If the goods are damaged or missing, please take a photo of the customer and contact us to confirm. We will investigate and give you a perfect solution.